CAMP ZAMA, Japan (Jan. 15, 2014) -- "The islands of Madura and Bali are a part of which country?" 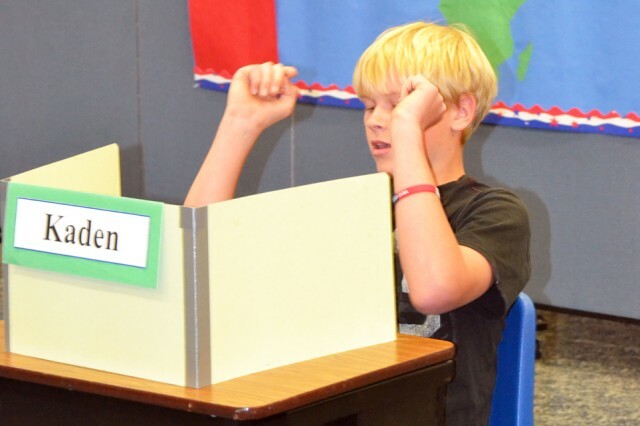 After pondering for 15 seconds and writing "Indonesia" on a dry-erase board, John O. Arnn Elementary sixth-grader Kaden Merrell claimed victory with a double fist pump in the air. 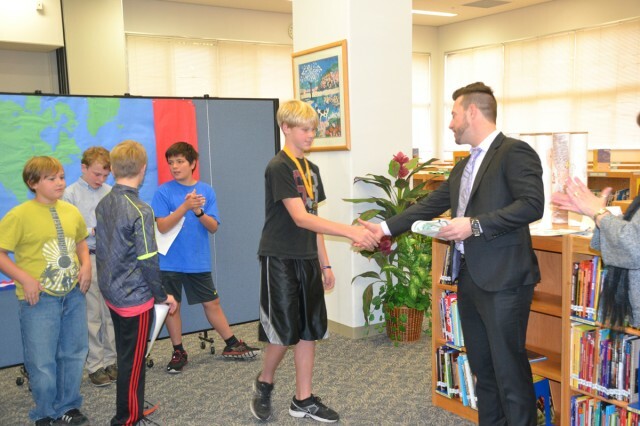 Merrell, along with 11 other students were selected as finalists and alternates from among nearly 200 Arnn students from fourth through sixth grade to compete in the 25th annual school-level National Geographic Bee held Jan. 9 inside the school's information center. The student competitors where chosen after previously successfully completing a prerecorded test sponsored by the National Geographic Bee Society, said Ben Greenman, the literacy support specialist at Arnn. 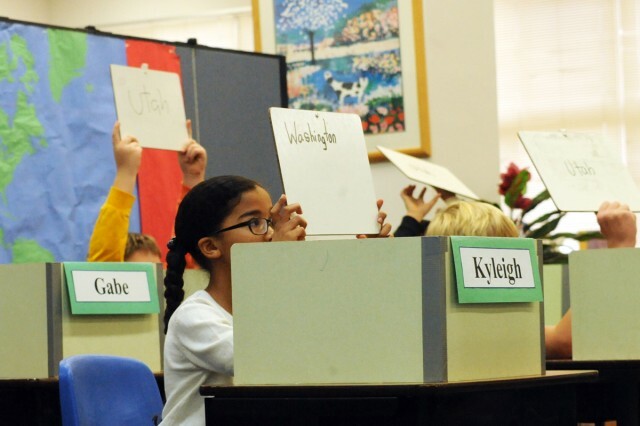 The competition consisted of three six-question preliminary rounds and a championship round, which was broadcast live into the classrooms. 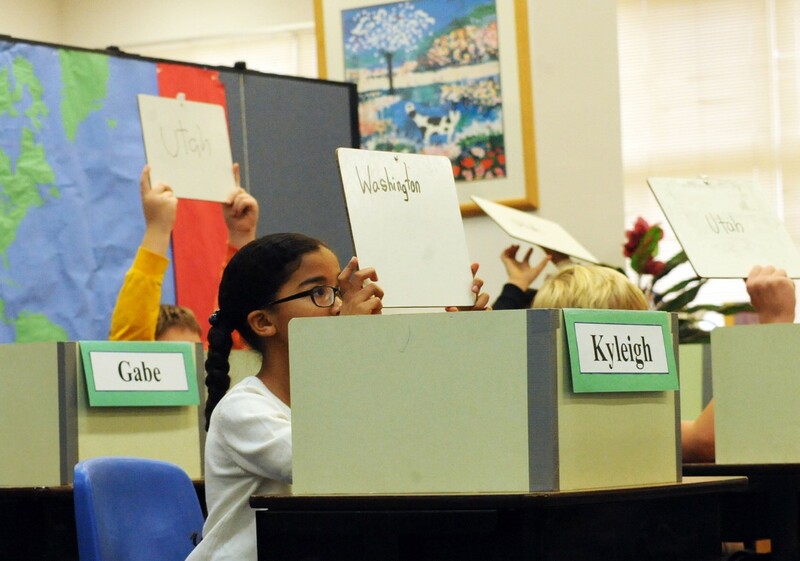 As the competition progressed, question after question, cheers and shouts of support from the competitors' fellow classmates echoed from the hallways. Merrell and classmate Andrew Savage finished with the highest scores of the preliminary round. 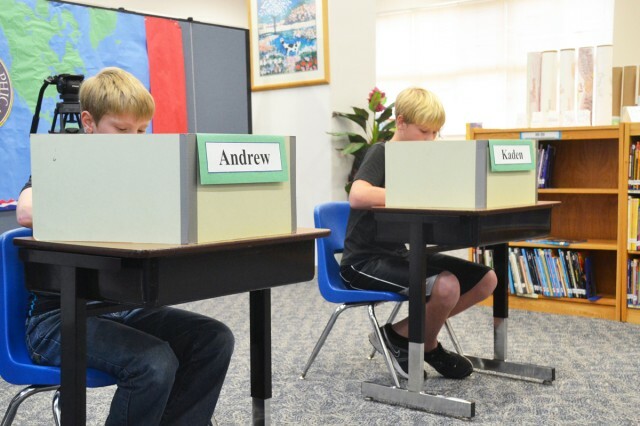 The championship round consisted of three questions, leaving Merrell and Savage with a tied score. Following the championship tie-breaker round, Merrell ultimately came out on top as the winner. 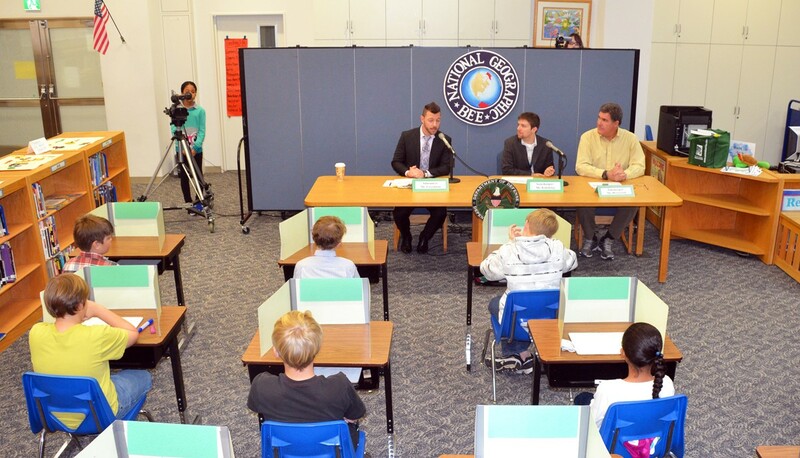 "This was the first time I was actually in the geography bee," said Merrell. "Competing and winning was the best part." 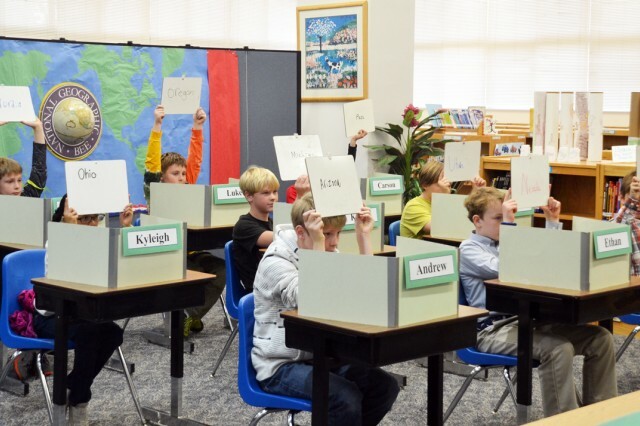 Savage, who has previously competed in the geographic bee, agreed with Merrell, saying the world geography questions were the hardest part of the competition. 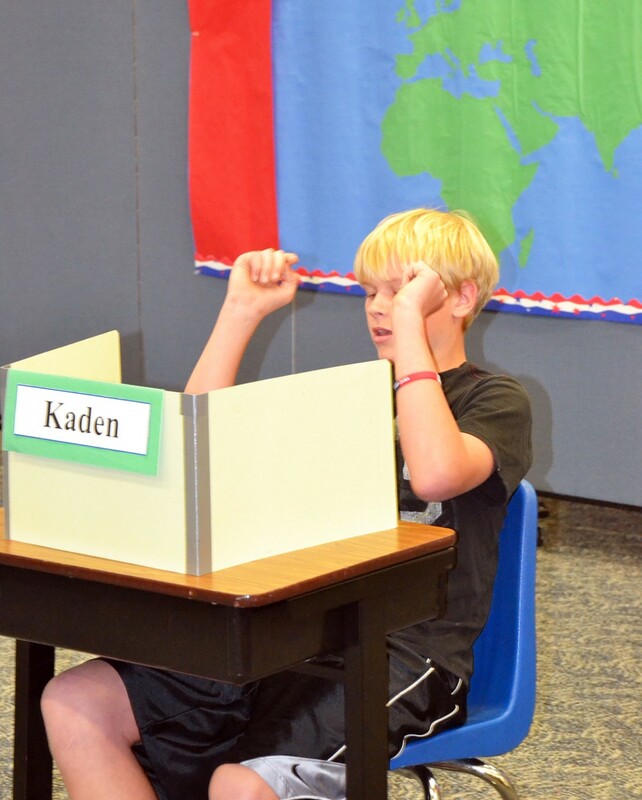 "The geography bee here at Arnn Elementary School is a hot-ticket item," said Greenman. "It's popular every year." The school helps to prepare the competitors by developing study packets for the preliminary and championship rounds, Greenman said. 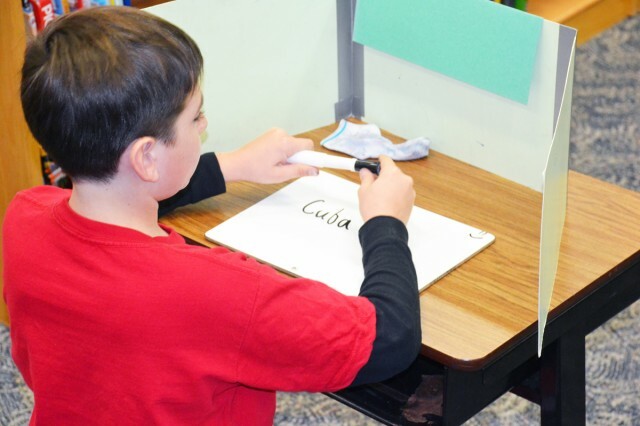 Students at Arnn and other Department of Defense Activity schools have a unique advantage in the competition, he added. "Their moms and dads have traveled all over the world," said Greenman. "That idea of geography, that experience definitely can benefit them as they enter these types of competitions." 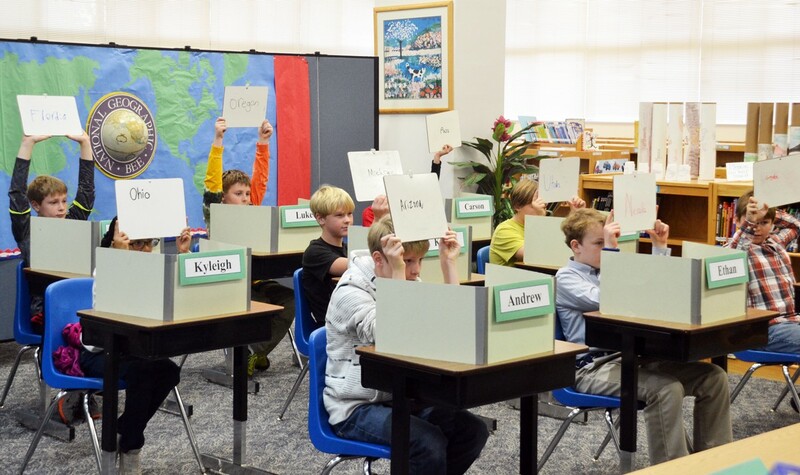 Merrell will take a written test in the coming weeks and will be scored against all other DoDEA and U.S. territory school champions, said Greenman. 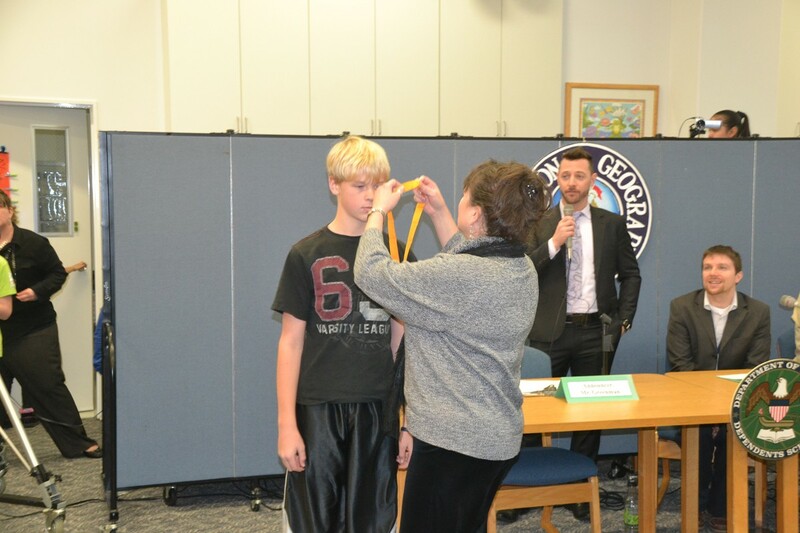 If Merrell scores well, he will advance to the state and national level of competition of the National Geographic Bee, held in Washington D.C. The students who compete in competitions like the geographic bee learn huge lessons in life by winning, losing, doing their best and pulling themselves back together when things are tough, said Greenman. "It's a great experience," said Greenman.